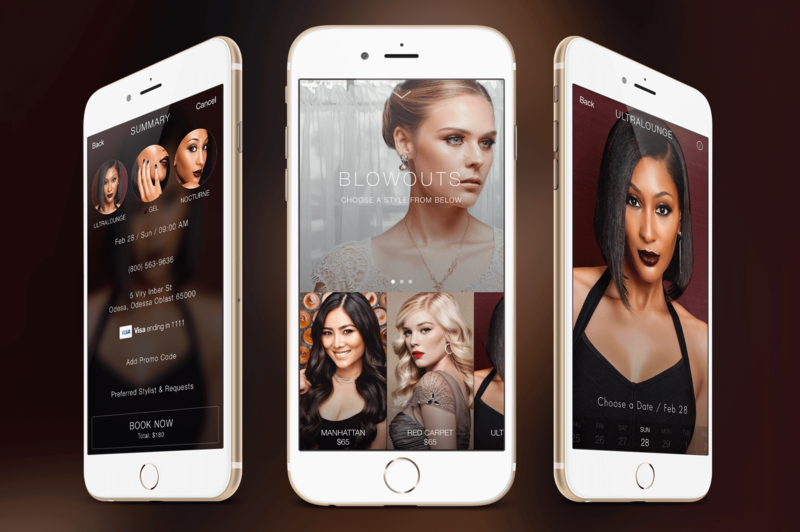 Blownaway is an on-demand beauty services application that allows users to order beauty services and get them delivered right to their home or office while offering a great opportunity for freelance stylists to earn income in their downtime. The app sends professionally trained and highly vetted blowout stylists to your door, at the tap of a button. It’s your personal blowout stylist, on-demand. Delivers a seamless offering of blowouts, braids and updos that will leave you feeling wonderful.  BlownAway raised $1 million in two rounds. Reinvently covered the agreed scope in full and without any major issues along the way. They had a predictable and transparent process that helped me feel comfortable. With Reinvently, you will be sure to get a quick time-to-market solution. We were able to roll out the first version of the app within exactly two months and our influx of capital investment allowed for continued development with only a minor pause in between version 1.0 and 1.1.